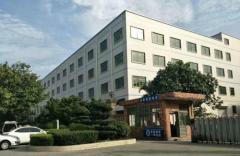 company profile of Prime LED Co.,Ltd. Prime LED Co., Ltd. has been in the industry of LED production for over 11 years, and should be proud of the senior engineers, well trained workers and humanized management, since establishment of the factory in 2006 and seting up a Hongkong company in 2010. Currently, all Prime LED's products have acquired relevant certificates, like CE and RoHS, as well as some are UL listing, and is showing its competitive edge in the global market. You are warmly welcomed to contact us if any interests or questions in our products. Competitive Advantage: We have been 11 years in the LED industry, with perfessional engineers and well trained workers, and can offer you OEM services as well.